On July 12, in Washington, DC the Alliance for Safe Biologic Medicines (ASBM) hosted the second in a series of meetings to discuss the global harmonization of nomenclature for biologic and biosimilar medicines. Representatives from the World Health Organization, the U.S. Food and Drug Administration (FDA), Health Canada, the United States Pharmacopeia (USP), and the American Pharmacists Association (APhA) convened with physician and patient advocacy organizations to discuss the importance of national regulatory authorities (NRAs) working together to develop a nomenclature policy that will improve pharmacovigilance on a global scale. Biologics and biosimilars have greatly expanded treatment options for physicians and patients; yet because of their large molecule structure and manufacturing process which uses living cells, no two biologics are exactly alike. While regulators in some countries have begun to address the naming of these medicines within their own borders, a global harmonization of biologic naming has not yet been achieved. This situation may impede patient safety, prescriber clarity and the uptake of biosimilars as they become more available. It is also more important to less developed countries which may have different standards for approving, tracing and naming medicines. ASBM believes distinguishable names and a harmonization of naming conventions across regions for all biologics (innovator and biosimilar) would ultimately improve patient safety and access. 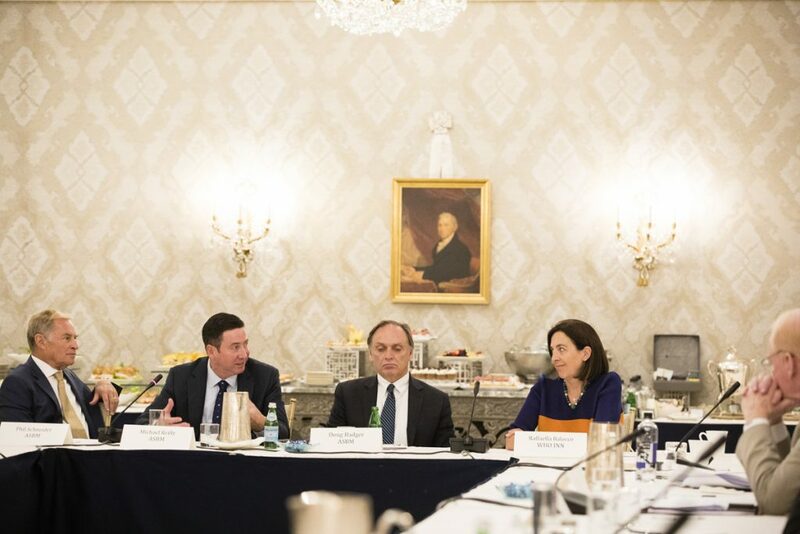 At the April 11th meeting, hosted by Scientific American and held in DC, there was also agreement at the table that a harmonized naming system was desirable, not just for biosimilars but for all biologics. A recap of the April 11th meeting can be found here. Photos from the April 11th roundtable can be found here.